Need a trailer for Moving,Vacations,Building Supplies,Motorcycles,Lawn & Garden Projects,Moving the kids to college,Hauling your show car,Buying new furniture or getting rid of old furniture,Office equipment or new inventory,Antiques Hobbies Craft shows,Moving your Mother-in-Law into the spare bedroom ? Our enclosed cargo trailers are the perfect solution for your occasional short-term trailer needs. 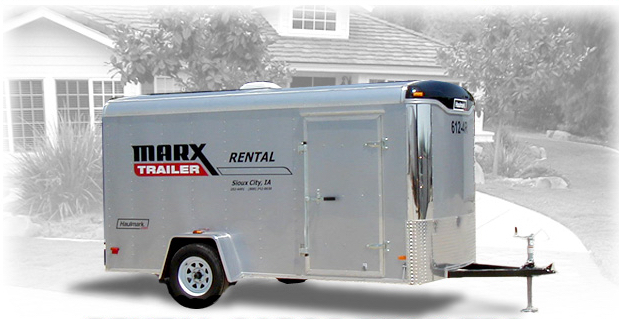 Available sizes range from the small 5’x8’ single axle to the big 8’x20’ 10,000# GVWR enclosed car trailer. You can count on our late model, well maintained trailers to Haul Your Stuff. Single axle trailers have a 2” ball hitch and 4-way flat electric plug. 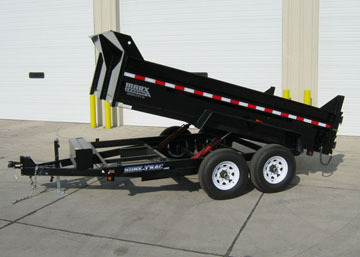 Tandem axle trailers have a 2-5/16” ball hitch, 7-way round electric plug and electric brakes. Your tow vehicle MUST have an electronic brake controller in order to rent a tandem axle trailer. to assure availability on the day you need it.